#tgss CrossBeats Wave Bluetooth Waterproof Headphones Orginal Website Gears I use: Digicam: Canon Rebel SL 2 ( ) SJCAM SJ4000 wifi ( ) SONY Cybershot Tripod: Simpex 333 ( Headset: Frontech Jil3442 ( Donate us if you desire: Bitcoin- 1ADH77q8GdDoerTQTifjV7jMHiJoUaxRBj Eth- 0x168CD251B20D7Df6fd553ee78bac7989b02A1ADE paypal-: paypal.me/tgss Web site: Send out Us Your Queries @ question.tgss@gmail.com Be part of us on Fb: Twitter: Instagram: Google + Visual appearance: Saikat Edit: Sourav Subscribe us. If there is something you want me to deal with then do enable me know. Thank You. 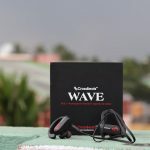 The post CrossBeats Wave Bluetooth Waterproof Headphones || Unboxing & Review appeared first on Saif Ahmed Khatri's Blog.